Material: 304l SS, 316l SS. Trinity Filtration Technologies Pvt. Ltd.
SS Pleated filter cartridge have a better filtration area than SS Sintered filter cartridge. 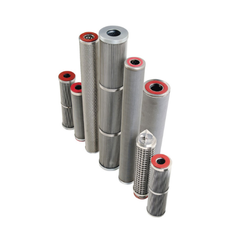 - Size : 10", 20", 30" & 40"
For catering the variegated demands of our respected clients, we are highly engrossed in providing a wide range of Stainless Steel Filter Cartridges. 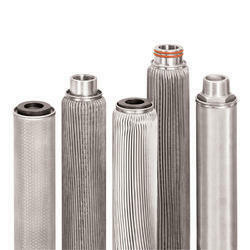 We are the well known and Leading Manufacturing and Supplier of Stainless Steel Filter Cartridges. Length: 10", 20", 30", 40"
Pleated Type Filter Media: Wire mesh, Fiber glass, Paper, Non-woven polyester, HDPE, etc. With the vast industrial experience and expertise in this domain we are indulged in offering a comprehensive range of stainless steel Filter Cartridge. The offered Stainless steel Filter Cartridge is manufactured by our professionals keeping in mind the various specifications and expectations laid down by the client’s.